Polaris is a new platform based on sharding protocol where token holders can make profits. Polaris is an established company that is trying to combat fundamental weaknesses in blockchain architecture. Some of the key problems include slow block times and high transaction costs. Their platform aims to be the first candidate for a secure sharding protocol for permissionless blockchains. Essentially, this will scale up consensus that will create scalability and usability for next generation cryptocurrencies. Sharding technology is incredibly innovative, and Polaris has the lead time advantage on introducing it through the platform.That said, sharding is new technology and this is uncharted territory. Additionally, our concern is that the project is creating an entirely new blockchain that does not yet have a working MVP. There is not much information on the roadmap and the team does not list any partnerships to help with user adoption. A strength lies in the token model. 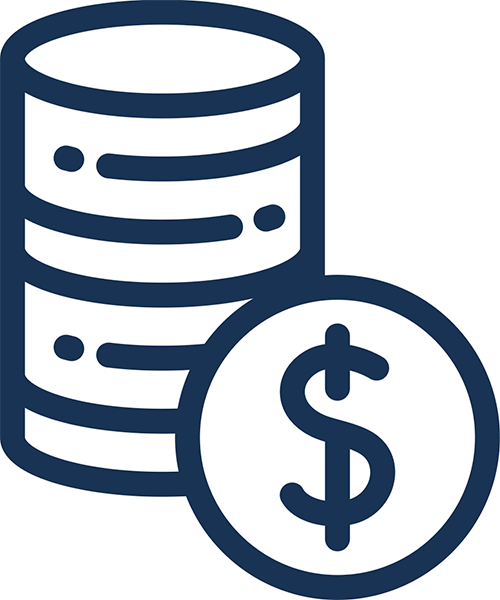 The Polaris token pays holders dividends from the profits of the mining farm, and this is something to incentivize individuals to buy and hold, which will spur demand. How to invest: Interested investors must first pass through the KYC process, which can be found at the following link. Problem addressed/solved: Polaris wants to formalize the problem of designing a secure sharding protocol for blockchains. Currently the issue with cryptocurrencies is that, in real world applications, they are limited by the transaction speed and scalability, which makes them unrealistic for mass adoption. Platforms like Bitcoin and Ethereum have outdated blockchains that lack adequate scalability. Target customers/customer/ segments/verticals: Customers for Polaris will consist of businesses who have either implemented blockchain into their processes or plan on doing so. It’s certainly a small group, but there are companies out there that operate on blockchain but could use a refined version with more TPS and better scalability. Value creation: Polaris wants to create a protocol for an open, permissionless network wherein participating processors have no pre-established identities, and where the transaction throughput actually scales. The key notion here is to partition the network into smaller committees, each of which processes a disjointed set of transactions (or a “shard"). Specifically, the number of committees grows near linearly in the total computational power of the network. Thus, Polaris creates a blockchain that scales and has exceptional speed and efficiency. Competition: As of writing, BMJ has yet to encounter other projects that want to transform blockchain with a sharding protocol. It’s definitely a unique idea and new to the space, considering most businesses either don’t use blockchain or have never even heard of it. Polaris might be playing ball in a league of its own. Market size/potential: The market for this project will be tiny to start. The project is focused on revising blockchain architecture for companies who want to implement the technology into their business processes. The problem is that most companies aren’t moving forward with this advanced technology just yet. At the very least, Polaris is entering an extremely niche market with less than 20,000 applicable cases. Regulatory risks: There are always risks with new blockchains. This one, in particular, has not yet been tested for security and scalability and will have to prove that it abides by GDPR, PCI Sox and HIPAA standards for various industry applications. Investor value: The PLR token appears to function as a utility token, but it’s not clear as Polaris provides so little information on the structure of the token and its role within the platform. After researching the Polaris project, we think that the token on the platform will most likely operate as a utility token, achieving greater value based on its demand. Disclosures: Polaris must invest more time into its documents and website. The whitepaper is slightly below the average in terms of pages, but it has so much technical information that it will confuse anyone who’s not already blockchain savvy. The whitepaper also doesn’t mention any details on the token use case, ICO structure, team, or roadmap. These areas are essential to disclose, especially when you’re looking to crowdfund a project. The roadmap also needs a lot of work as it provides basically useless information. Token distribution: 10% Advisors, 10% Founders & Team, 60% Presale, and 20% Crowd Sale. Use of proceeds: 10% Operations, 10% Publicity & PR, 20% Sales & Marketing, 50% Product, and 10% Security & Reserves. Track record: Polaris gives off a poor first impression of the team. The project does not provide any information on individual members, and the structure is far different than most startups. It actually has two CEOs in Ning Shen and Bao Chen. According to his LinkedIn profile, Ning Shen has worked as a data analyst and software engineer for a few different companies since 2002. He also has a B.S. in Mathematics and Computer Science. Bao Chen, much like his partner Shen, worked as an engineer or software engineer since 1995. His work experience includes the talent heavy work forces of Cisco, eBay, and Apple. It’s no secret that Polaris has the leadership and brains to take the project to fruition, but it’s ultimately up to the supporting cast to really help bring success to Polaris. Integrity: Polaris has no information on its employees in the whitepaper or on the website, which immediately raises the red flag. A few impressive LinkedIn profiles help the project’s case tremendously. The co-founders have serious experience with Fortune 500 companies working in software, and the advisors’ profiles are equally, if not more, impressive. 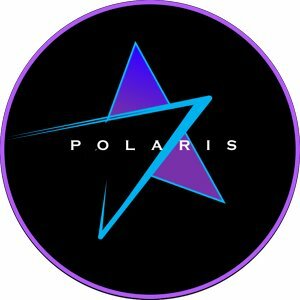 The first glance can be misleading, so taking a closer look at the Polaris team is a must for anyone investing in this project. MVP: Polaris fails to provide details on its development status on the website, but according to the roadmap, the testnet release will occur in Q2 of 2019. Token use case: Polaris might have the least amount of information on its token of any pre-ICO BMJ has reviewed. There is no mention of PLR or “token” in the whitepaper, and the website just does a basic breakdown of the functionalities of PLR. The token will have 0 transaction fees, operate with smart contracts at a million TPS (transactions per second), and act on a permissionless network. Value-added: Polaris is tasked with creating its own blockchain and subsequent token to operate on said blockchain. The team claims that the ETH and BTC blockchains are slow and lack efficiency. The proposed chain will allow for a million transactions per second with no transaction fees. It’s clear that Polaris needed to formulate a special blockchain for its project, and while this could be beneficial, the project also runs the risk of biting off more than it can chew. Decentralization: Polaris will have underlying open source technologies as the platform will be a truly open and decentralized system. Technical difficulty/investment expertise needed: Polaris wants to combat the fundamental issues with current blockchain architecture. The technicals around this project will confuse most people, so Polaris should find a way, maybe with a short video, to explain the project in plain English. As of right now, the whitepaper will just further confuse readers who don’t have a technical background. Halo effect: Polaris has no partners to date. It is looking to collaborate with like-minded projects and even has a posting on its site asking interested parties to contact the team for future partnerships. Buzz: Polaris has really failed to generate any interest with its Twitter account. It has only four posts with zero followers. Its only other platform is Telegram, which has around 2,000 members. The team should look into other social media platforms like Facebook, Medium, LinkedIn, or SlackChat that will help spread awareness of the project. It’s been featured on a few lower-tier crypto sites such as ICO Bazaar, ICO Holder, and Coinhills.